Tourmaline ceramic ball treated drinking water has the following characteristics:1, water molecules smaller, easy to penetrate the cell membrane, increase cell activity, increase immunity.2, the elimination of water odor and residual chlorine, the elimination of harmful substances, carcinogens. 1, water molecules smaller, easy to penetrate the cell membrane, increase cell activity, increase immunity. 2, the elimination of water odor and residual chlorine, the elimination of harmful substances, carcinogens. 3, the water quality is weak, alkaline, contribute to the body acid-base balance and nutritional balance. 4, rich in human body needs of calcium, magnesium, sodium, potassium and other minerals and various minerals. 5, high conductivity, low redox potential (OPR), promote digestion, prevention of aging, favorable longevity. 6, in the sun, temperature, pressure and any other conditions, product efficiency, characteristics remain unchanged. The utility model is suitable for drinking water treatment and bath water treatment. Negative ion ceramic ball. The use of highly active negative ion ceramic composite powder and other silicate materials through scientific preparation, and after high temperature firing negative ion ceramic ball, a ceramic ball (phi 6mm), due to the high activity of negative ion ceramic composite powder, can be formed in the tens of thousands of electrodes, and water contact moment. The effect on the decomposition of water to produce electricity, hydrogen ion water to form hydrogen out of water, making water into alkaline, pH value is between 7.4~7.6, and the infrared function, so that the water molecules group into small molecules, enhance the solubility of water penetration, and produce hydroxyl ions. Long term consumption of this water can regulate the pH of the body, eliminate fatigue, improve microcirculation, and promote longevity. Such as: with negative ion ceramic ball soaked water, can make the phenolic peptide reagent red (weak alkaline), tea has a stronger solution ability, can tea than ordinary water faster bubble open. 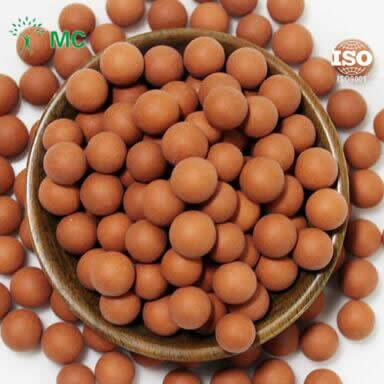 The ceramic ball into the refrigerator, can inhibit bacterial reproduction, into the water tank, can prevent water tank fouling, metal pipe rust. Fired with high active negative ion ceramic composite powder ceramic ball with high density, high strength, hardness, fine grinding, drilling can be made of very fine necklaces, bracelets and other ornaments, not only the artistic and decorative effect, because it can continuously release negative ions, can promote human health. 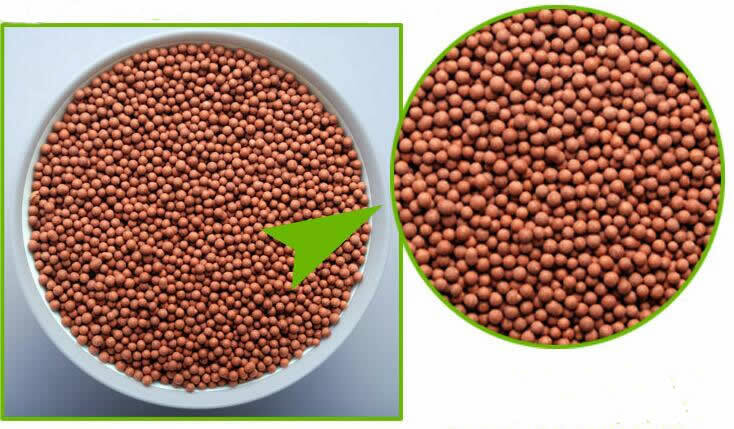 1. ceramic ball granules: product specifications are 1CM, 6-10 mesh, 10-20 mesh, 20-40 mesh, 40-70 mesh. 2.Tourmaline ceramic ball: the product specifications have 80-100 mesh, 100-120 mesh, 120 mesh, 150 mesh, 180 mesh, 200 mesh, 2000 mesh, 325 mesh, 400 mesh, 500 mesh, 800 mesh, 1000 mesh, 1250 mesh.